Those who had the stamina after our delightful lunch, could party on through the evening, singing carols and joining the fabulous street party, enjoying amazing entertainers and talking to Santa and his helpers. True to the Chaîne des Rôtisseurs philosophy we enjoyed a wonderful lunch, “camaraderie” and the “pleasure of the table”. Freshly shucked coffin bay oysters, with wakame (seaweed), wasabi scented flying fish roe on a delicate Vietnamese dressing, a delicious Confit duck boudin, with truffle aioli and micro herbs (micro herbs are young herbs which are extremely intensely flavoured, nutritious and stunning to view) and a refreshing chilled and spiced Gazpacho, with flaked spanner crab. Our entrée was served by Chill’s attentive, friendly and ever so obliging staff. 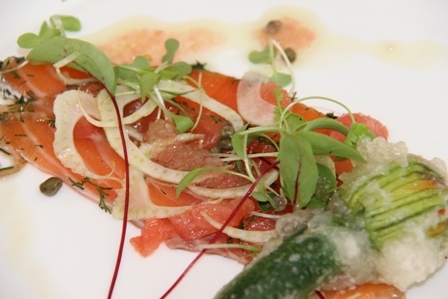 Salmon Gravadlax, with shaved fennel, ruby grapefruit, Lilliput capers decorated with micro herbs, champagne vinegar and finger lime dressing. The crispy tempura coated zucchini flower was delicious. Together, with our starter we enjoyed a Ballandean Estate Wine – Semillon Sauvignon Blanc, with an “uplifted bouquet of fresh peaches and a palate of lingering passionfruit and zesty lime”. Our main course was a slow cooked Turkey galantine, pocketed with apricot, shallot and pistachio. So soft, moist and tender.The garnishes were a flavoursome fondant potato, served with ginger spiced carrot purée, peas, cranberry jus accompanied by oven-roasted pumpkin, steamed green beans with preserved lemon and goats curd. A truly delicious dish. 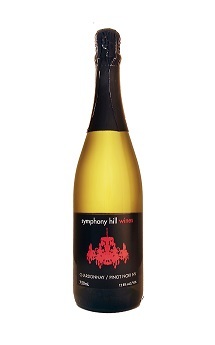 The wine chosen to compliment this dish was a Symphony Hill – Tempranillo 2013. Tempranillo is a Spanish wine variety, becoming more and more popular with wine lovers. “Temprano” is Spanish for “early” as it is one of the first red grapes to be picked. “Like a Pinot Noir it is lighter in body but has much more attitude! The Dessert was an overall winner with everyone. 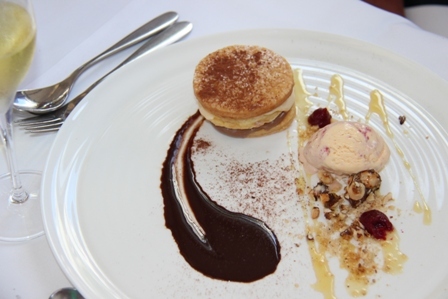 Dark chocolate, hazelnut and vanilla mille feuille, cherry gel, toffeed hazelnuts with cherry swirl ice cream. 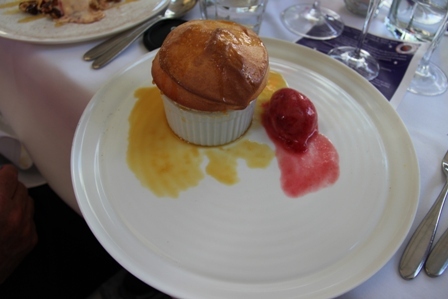 The wine chosen to complement this dessert was a Ballandean Estate Wine, a 2012 Late Harvest Sylvaner, presenting “Luscious fruit with hints of honey and marmalade”. 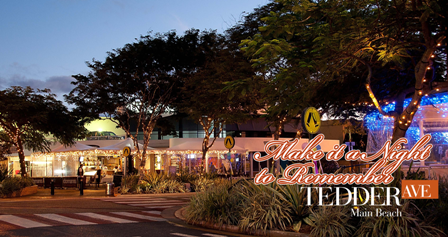 It is no surprise that Chill on Tedder’s is a multi award winning Restaurant. The Chef Daran Glasgow is known for his passion for innovative, sophisticated contemporary cuisine. Daran and his team are creating a multitude of delicacies from freshly sourced seasonal and local produce. It’s a miracle what is served out of that smallest of kitchens. 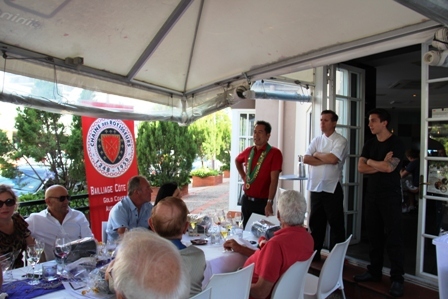 This was another well organised event for the Gold Coast members of La Chaîne des Rôtisseurs. Today the Chaîne is a truly international gastronomic association, dedicated to honouring the preservation of the traditions and practices of the old French guild in a completely contemporary and international context. The principal goal of La Chaîne des Rôtisseurs is to bring professional and non-professional, members in over 80 member countries together to celebrate their passion for fine cuisine and wine. Its aim is to aid and encourage the development of young chefs and sommeliers worldwide through its national and international competitions. 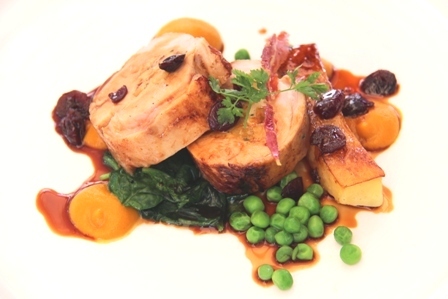 Being a valued member of La Chaîne is not just about the appreciation of great food. ACCR, (“Association Caritative de la Chaîne des Rôtisseurs”), a non-profit making entity, is giving help and assistance through its project initiatives and charitable aid programmes worldwide. Why not join your “Chapitre” or local “Bailliage”? With a presence in more than 80 Countries on 5 Continents, La Chaîne des Rôtisseurs has some 25,000 members from all walks of life. These members are passionate about culinary arts, fine wine, “joie de vivre” and worldwide friendships.